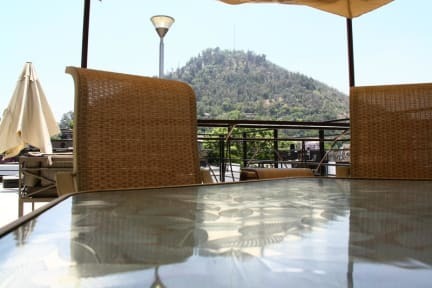 Rado Boutique Hostel i Santiago, Chile : Boka nu! 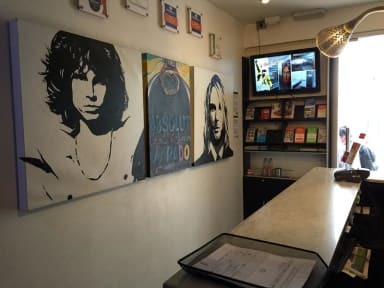 Really good hostel with a hotel vibe. Really clean and nice rooms. Comfy and big beds and spacious rooms. Good with lamp and outlets by the bed. Kitchens was nice and hade good utilities as well. Good location and friendly and helpful staff. Really nice breakfast, one of the best that we’ve had on our trip so far! If you get a street facing room, it will be noisy all night on Fridays and Saturdays. Otherwise good.